From its foundation, the Institute of the Brothers of the Holy Family has kept a rich documentary heritage which allows today to follow the steps of its history and the footprints of its life in the different places where its charism is established. Brother Gabriel Taborin had given certain dispositions and he introduced some practices contributing to create this heritage. 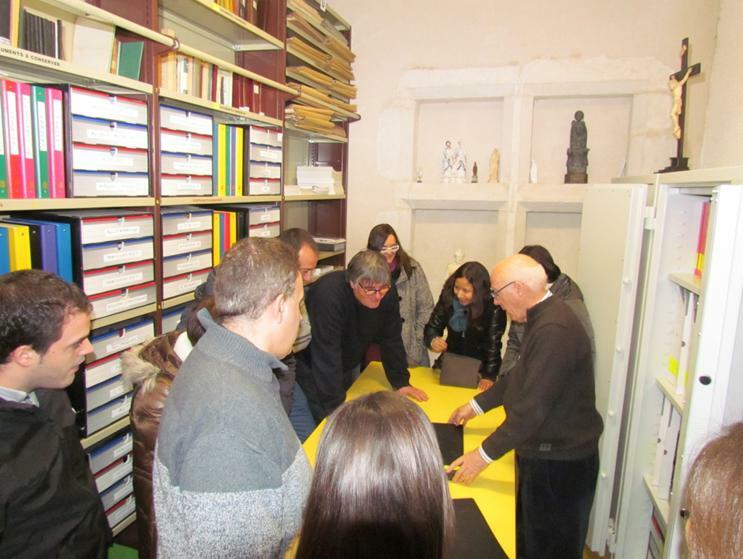 The Archive of the time of the foundation of the Institute (ASFB, Holy Family Archive of Belley) is located in Belley, 7 rue du Chapitre, in the ‘Gabriel Taborin’ House. This Archive includes files up to the moment of the death of Bro. Gabriel Taborin (24/11/1864) and the personal files of the Brothers who made their religious profession before that date, with the exception of those of Brother Amadeus Depernex. The most of them are letters addressed to Brother Gabriel.